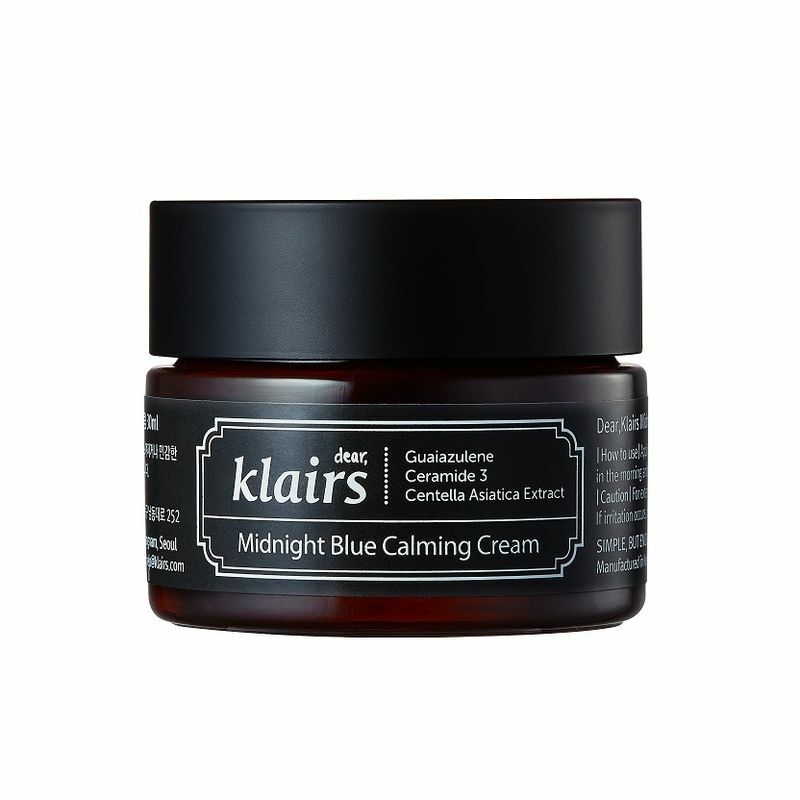 If moisturizing just wasn't enough for your sensitive skin, meet the Klairs Midnight Blue Calming Cream to protect your skin from irritation & stress. The Midnight Blue Calming Cream is a gentle recovery cream that provides comfort to rapidly calm & soothe sensitivity. Its star ingredients are Guaiazulene, a natural component extracted from Chamomile oil, which carries powerful skin calming abilities, and Centella Asiatica, which helps hydrate and relieve redness. As a cream that helps calm & strengthen barriers in extremely sensitive skin, it works rapidly to soothe and regulate irritated (by heat or sebum), stressed skin. 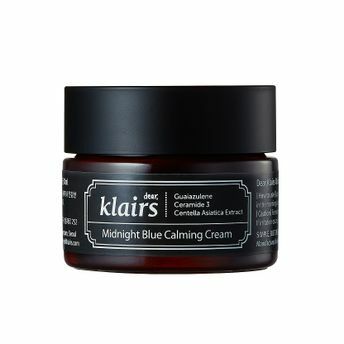 Although the Klair's Midnight Blue Calming Cream is used for targeting smaller areas, It's designed with excellent spread ability so a small amount could cover a large area. The Blue Cream creates a thin, protective layer over the surface of the skin. Night time use is recommended to assist skin regeneration & to prevent makeup from breaking the protective layer. The Blue Cream is made for calming rather than moisturizing, to rapidly soothe the skin in response to an irritation. Centella Asiatica Extract: As a plant native to Madagascar, it is also known as 'tiger grass' and is often used in cosmetics as 'Centella Asiatica.' Helps regeneration in damaged skin and prevents scarring; primary ingredient in ointments. Explore the entire range of Face Moisturizer & Day Cream available on Nykaa. Shop more Klairs products here.You can browse through the complete world of Klairs Face Moisturizer & Day Cream .